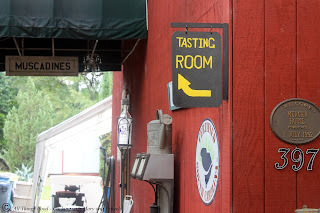 It was a drizzly, spittin' rain kind of day as we headed out to visit Mercer House Estate Winery located at 397 Walter Rawl Road in Lexington, South Carolina. While all of us were excited to visit and taste the wines, none of us were aware of what a great afternoon we were about to experience. It was really one for the record books, and one we won't soon forget. 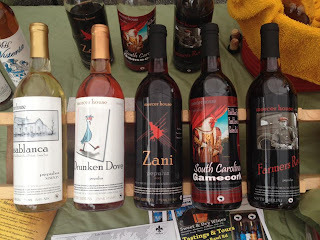 Because they use organic practices, Mercer House Estate Winery is one of only a handful in the country, and the only one in South Carolina to do so. After just about an hour of driving, making a wrong turn or two, (which is totally normal for us), we arrived just slightly before our appointed time at the winery. While we waited for our other friends to get there, our host for the afternoon, Shannon, wandered over, introduced himself, and explained where we needed to go when we were ready. Shortly afterward everyone was there so we headed over to the wine tasting room, and settled in, ready, willing, and able for the tasting to begin. Wow doesn't even begin to describe the next almost three hours that followed. Shannon is a great host, with a wealth of information he shared with us about his vineyard and what is, quite obviously, his passion. 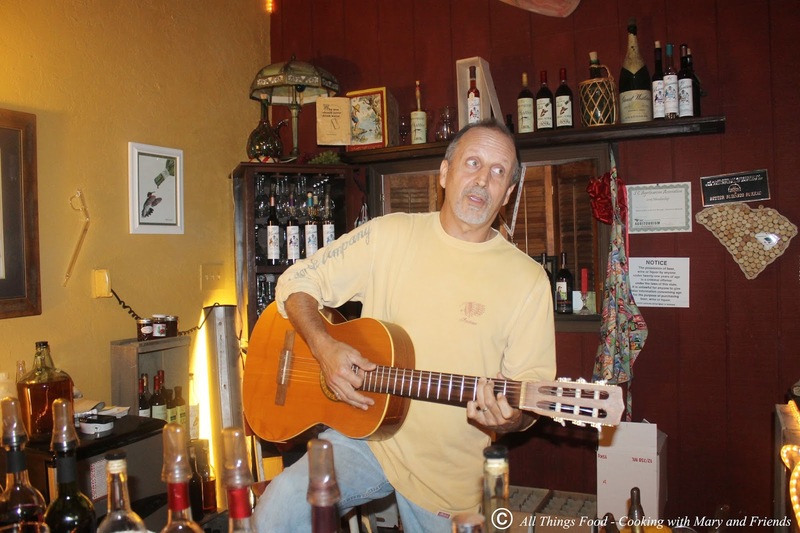 It was a fun-filled, story telling, anecdotes, and laughs afternoon, PLUS we were treated to a quick little ditty on his guitar. 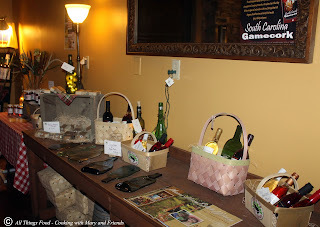 At the vineyard there are more than 40 varieties of Muscadine grapes grown. 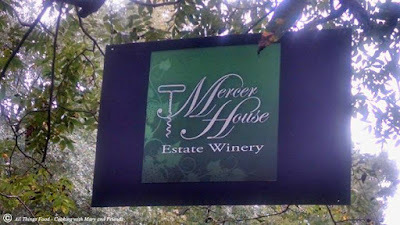 Each are used in a wide assortment of wines, as no one grape makes up the wines created at Mercer House Estate Winery. Muscadines are grapes, which are valued for fruit, wine, shade, and fall color; they’re among the few ornamental vines with bold, textured foliage; colorful edible fruit; and a dominant trunk and branch pattern for winter interest. A single grapevine can produce enough new growth every year to arch over a walk, roof an arbor, form a leafy wall, or provide an umbrella of shade over deck or terrace. 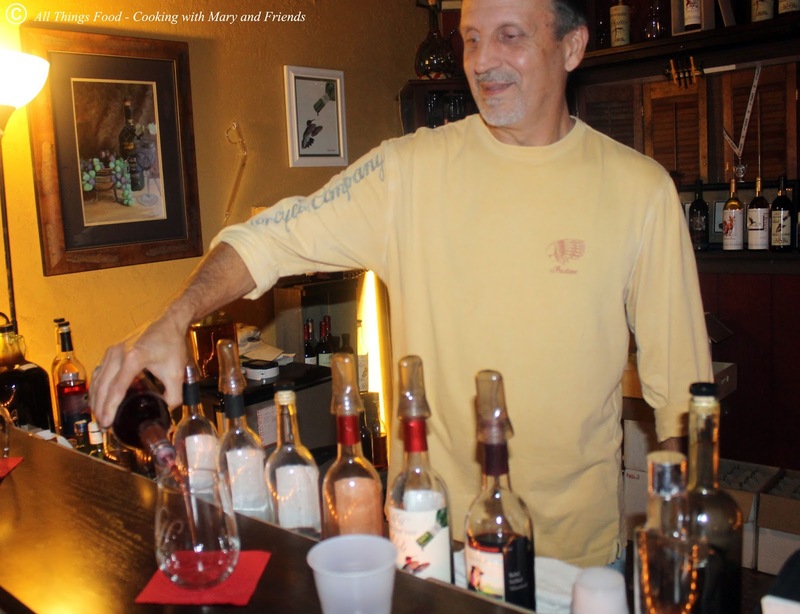 "There are many variables that effect the flavors of wine. Environmental elements are the first factors to determine the final outcome of a wine. Subtle differences in environmental conditions can be passed into the final product. "Terroir" - Basically, it refers to the micro-climates that exist across a vineyard. At Mercer House Estate, each of the vineyards has it's own unique climate based on the different soil types, field slopes, proximity to aquatics, wood lines and orientation to sun exposure. These subtle differences impart unique flavors into the grapes of each vineyard, each harvest and each wine. When we designed the trellis layout, we took into account these differences and decided to label each as part of the vineyard culture, which is reflected in the unique flavors of our wines. Terroir is a concept that doesn’t have an equivalent in the English language. Terroir is a genetic heritage of great wines. Without it, nothing is possible, however its character is only truly revealed as a result of the work and determination of our staff. In fact, without this passionate work and attention of our staff, a plat of dirt would never become as “privileged” as our great vineyards. It has been necessary to choose the best adapted grape varietals, define their growing conditions and refine the vinification (the conversion of fruit juices (as grape juice) into wine by fermentation) and ageing techniques. This work has been going on since we planted our first vine." Want to get involved? Join their Fostered Vine Program, designed for patrons to help sustain ecological and sustainable viticulture in return for tailored American wine and health conscience added-value products from the vineyards of Mercer House Estate Vineyards. Fostership grants patrons with custom bottled wine from their certified vines. Patrons may choose to have their wines tailored Light, Dark, Dry, Sweet or somewhere in-between. Each label will include the vineyard name and further designed to the patrons specifications. Patrons may choose to use Mercer House aging and fining processes to ensure the highest quality wine. And so we tasted some fairly dry wines, such as Casablanca, and made our way though a variety of wines, to include some semi-sweets we all really enjoyed. Each one had its own unique flavors and finishes, some more smooth and others more robust. I personally liked Dulcet Fox, The Farmer's Wife, Gamecork, and Adele. Before we knew it, almost 3 hours had gone by, and it was time to gather our things, make our purchases and head home. 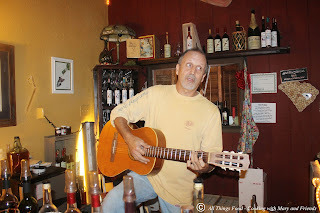 It was a GREAT time at a great local vineyard and well worth the visit.